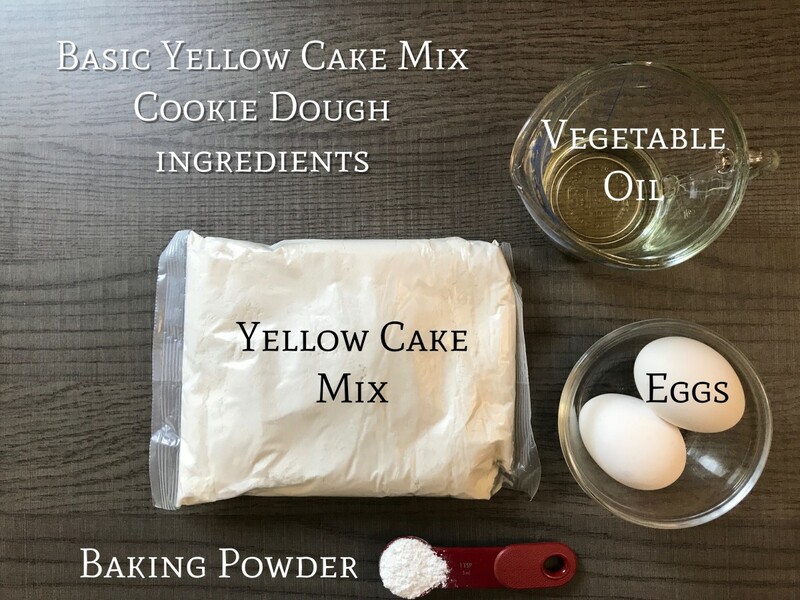 A box of yellow cake mix is a wondrous thing, and it's one of the staples in my pantry. That box has saved me more than once when I needed a last-minute treat for something. I've used a box at midnight to make a cake when my husband forgot to tell me that he needed a dessert for work the next day. I've used a box when my car was in the shop, there was nothing in the house to eat, and my daughter informed me that all the neighborhood kids were coming over for the afternoon. I usually like to make cookies from scratch with fresh ingredients. But sometimes I just don't have the time, so I've found that cookies made from cake mix are the answer. I'm always amazed at the many different variations that can be make with it. 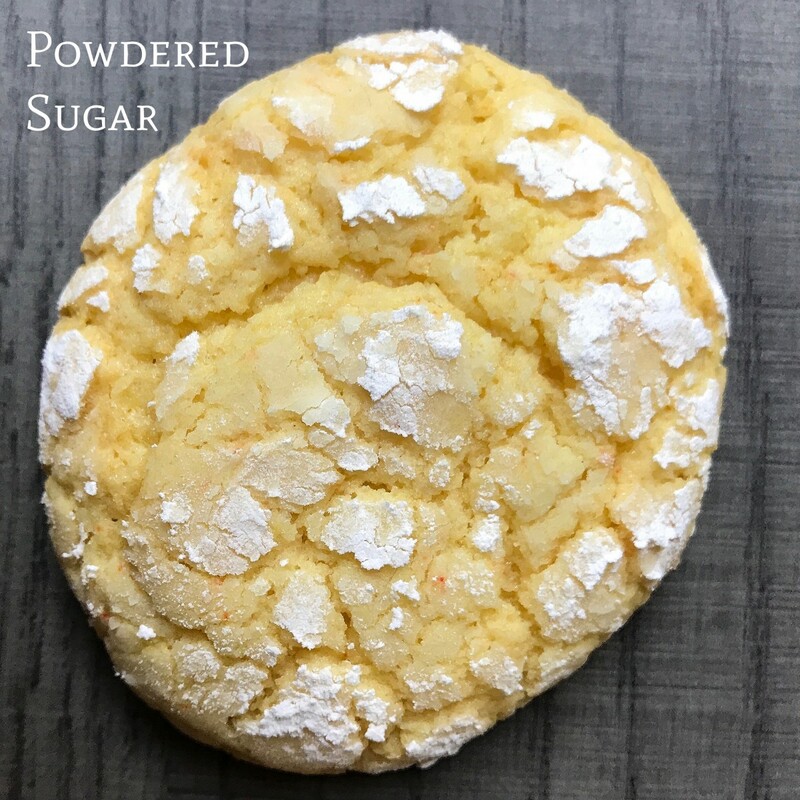 They are incredibly easy and fast, and I can whip up two dozen cookies in about 10 minutes (not including baking time). Here are my favorite twelve. 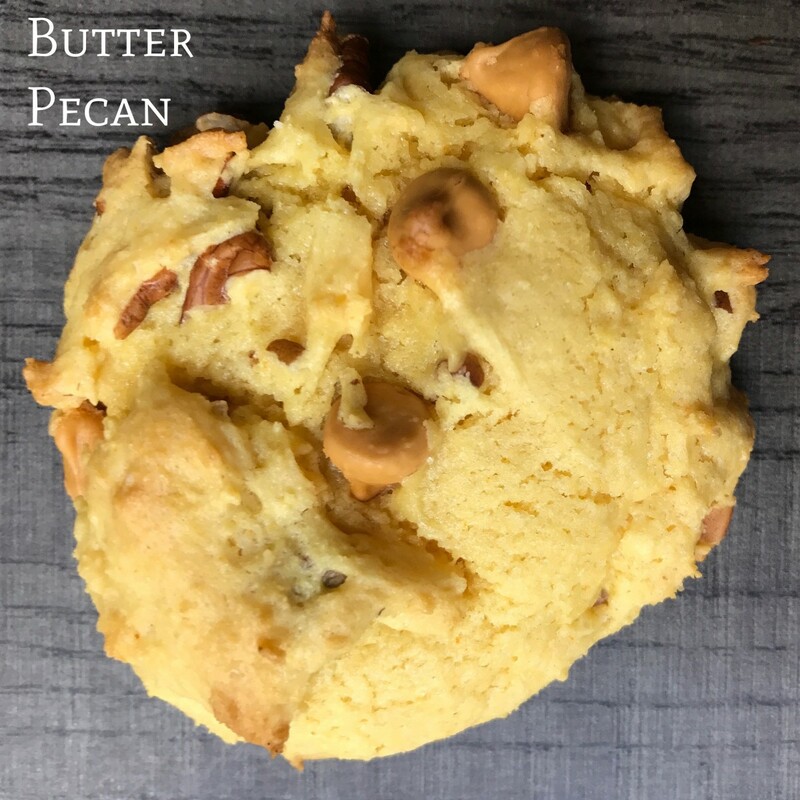 I'd love to know what you think about these recipes! Preheat oven to 350º. Line baking trays with parchment paper. Combine all basic ingredients in a large bowl and mix by hand until all ingredients are incorporated. 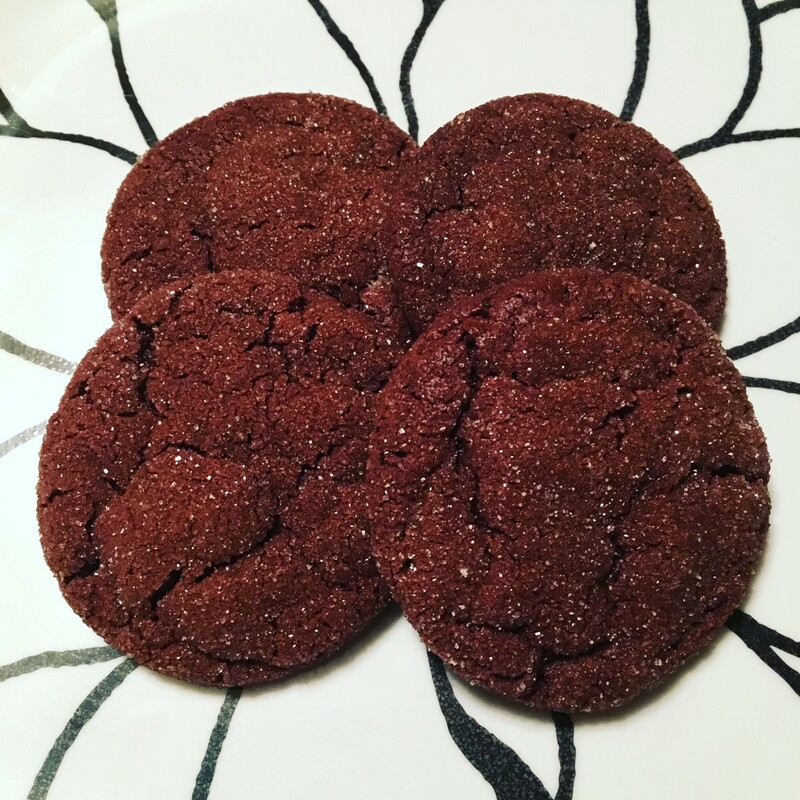 It takes a little bit and the texture is a little different than cookies from scratch. The dough is a bit elastic feeling. Stir in your favorite mix-ins. Place tablespoons of dough onto prepared baking trays, spaced about 2 inches apart. 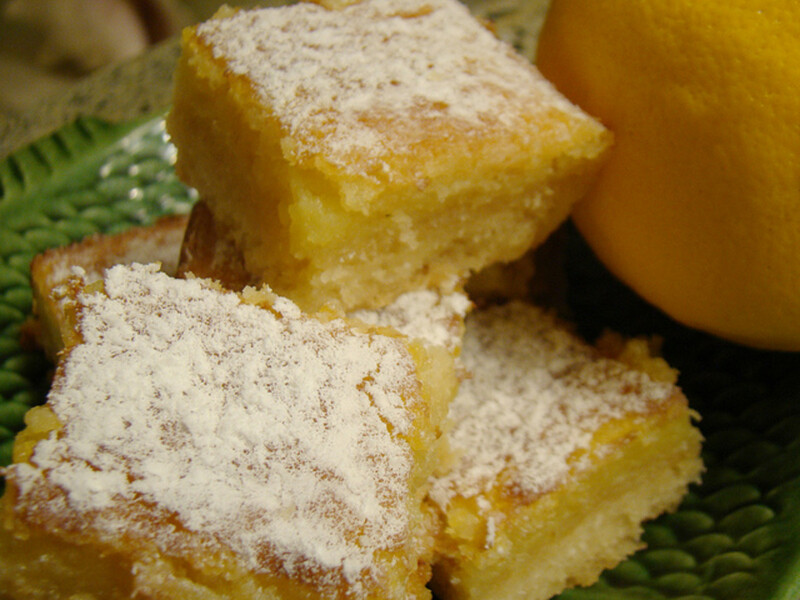 Bake for 10 minutes or until edges are golden brown. Allow to cool on trays for about 10 minutes then transfer to a cooling rack. Once you've prepared the basic recipe it's time to have some fun and use your imagination. Here are twelve of my favorites. 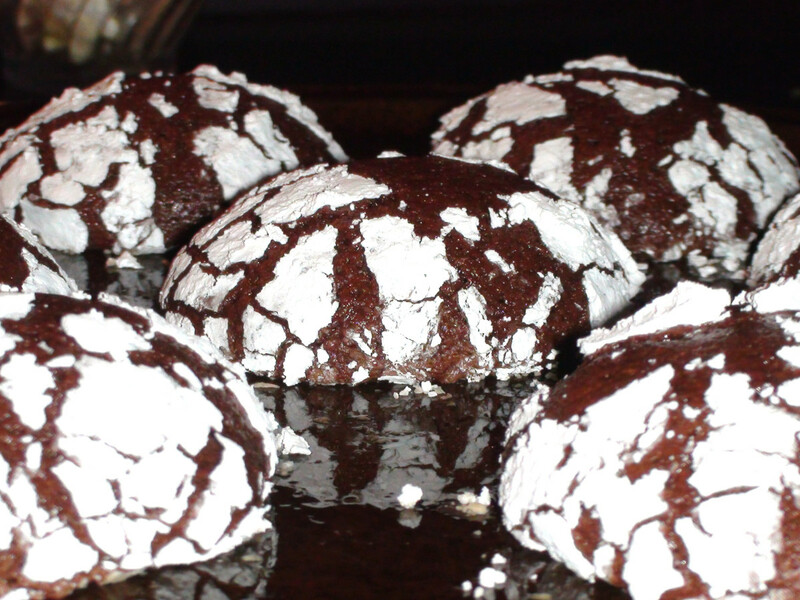 Form tablespoons of dough into balls and roll in powdered sugar. The dough is a little sticky and soft when you start, but once you start rolling in the sugar it gets easier. Place on prepared baking sheets and bake as directed. Mix together all ingredients and spoon by tablespoon onto prepared baking trays. Bake as directed. Mix together all ingredients except chocolate chips and spoon by tablespoon onto prepared baking trays. Bake as directed and cool. Melt chocolate chips in a microwave safe bowl. Spoon into a small sandwich bag and snip off a tiny corner. 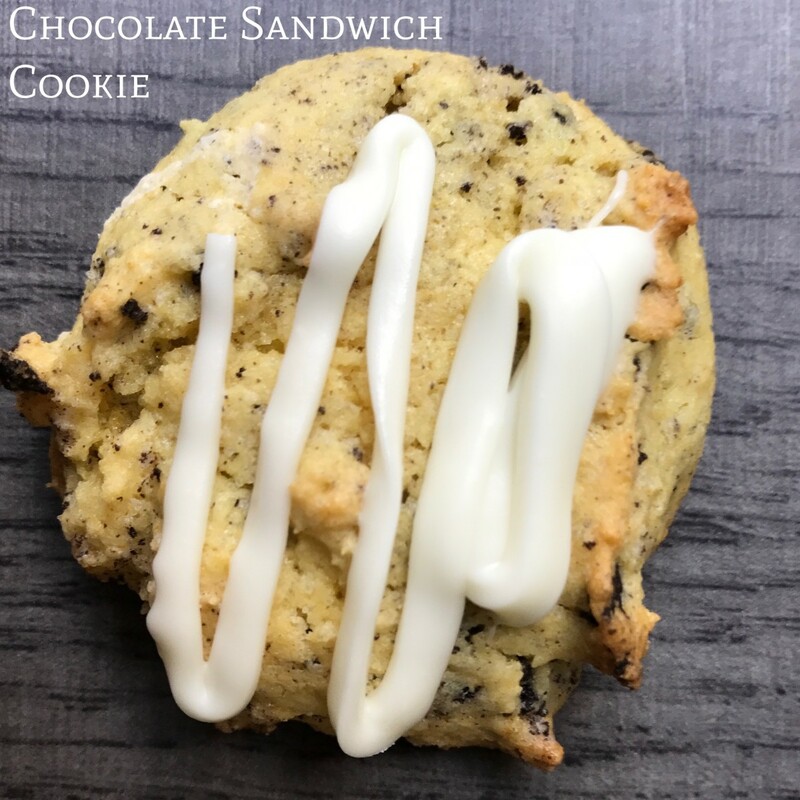 Drizzle the cookies and cool until chocolate drizzle is set. Setting aside 2 tablespoons of the crushed peppermints, mix together all ingredients except the chocolate and spoon by tablespoon on prepared baking trays. Bake as directed. Melt the white chocolate chips in a microwave safe bowl and dip the cooled cookies into it. 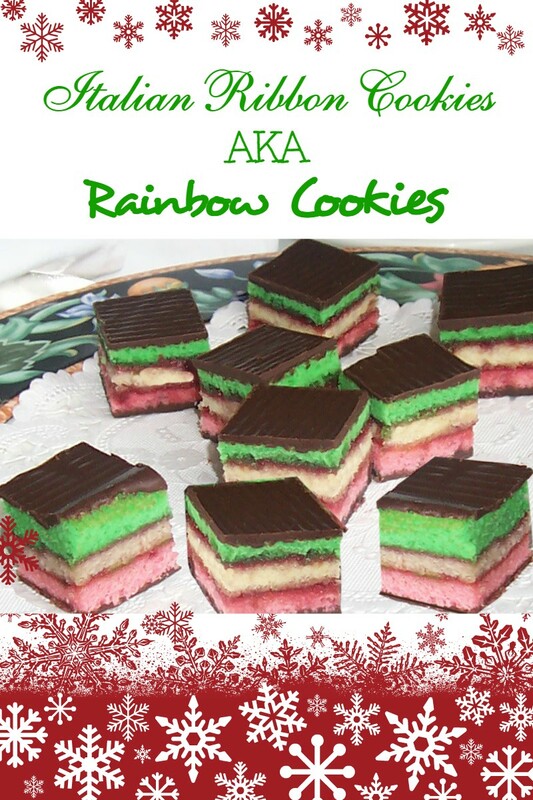 Place on wax paper and sprinkle remaining crushed peppermint candies on the chocolate. Cool. Mix 1 half of of the pumpkin pie spice into the cookie dough. Mix the other half into the sugar and set aside. Roll tablespoons of dough into balls and roll in sugar and spice mixture. The dough is a little sticky but gets easier once you start rolling. Bake as directed. Mix together all ingredients except chocolate chips and spoon by tablespoon on prepared baking trays. Bake as directed and cool. Melt chocolate chips in a microwave safe bowl. 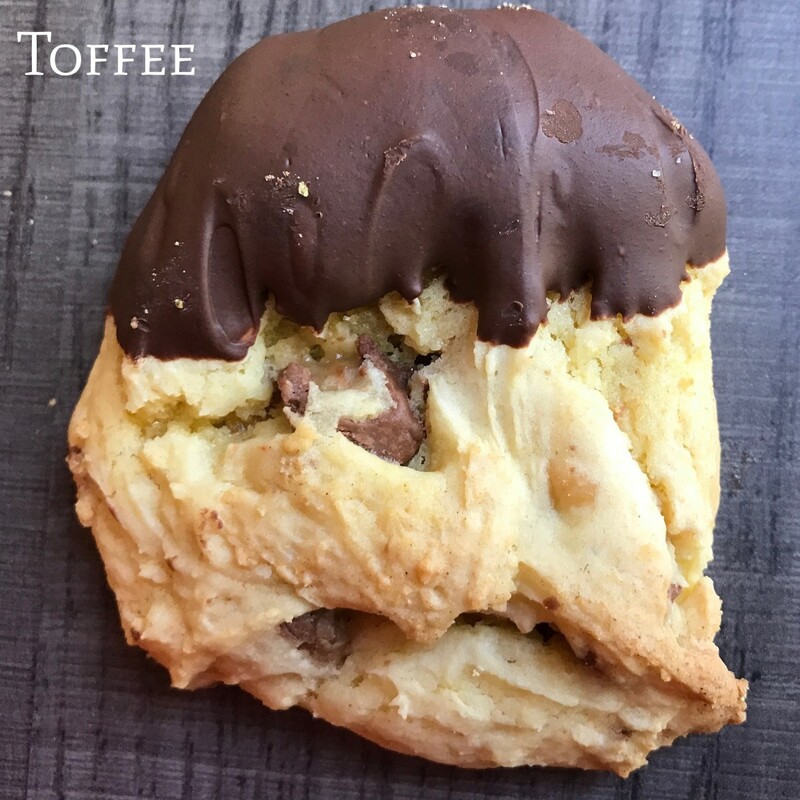 Spoon melted chocolate into a small sandwich bag and snip off a tiny corner. 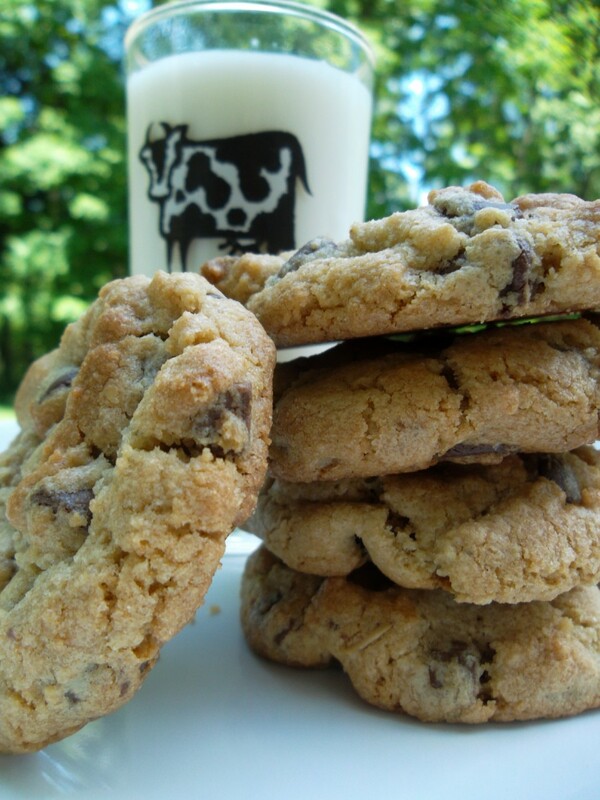 Drizzle onto the cookies and cool until chocolate is set. 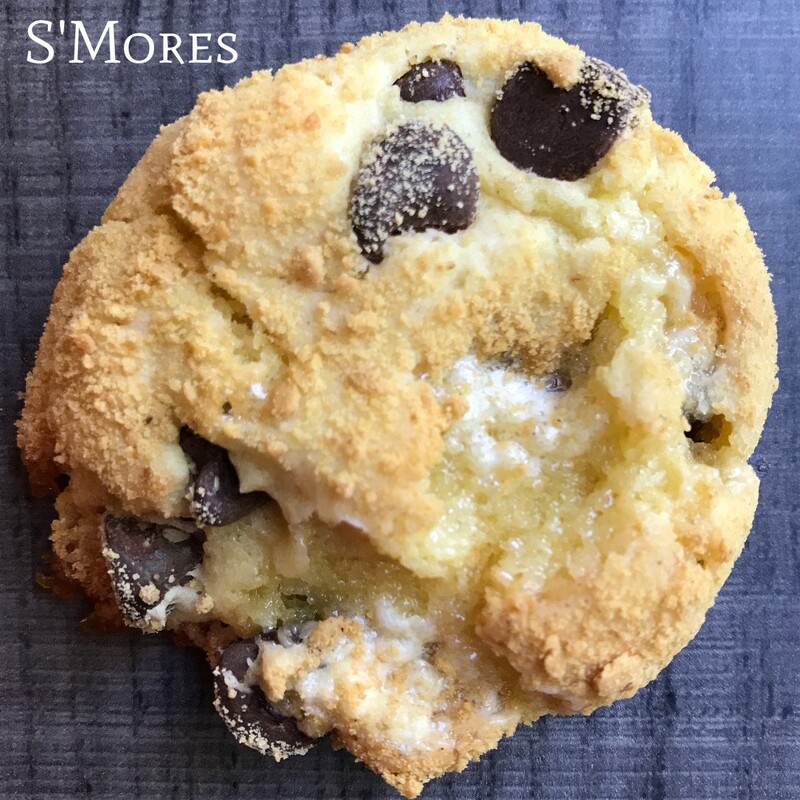 Mix chocolate chips and marshmallows into the cookie dough. Form tablespoons of dough into balls and roll in graham cracker crumbs. The dough is a little sticky, but once you start rolling it's easier to handle. Bake as directed. Mix together all ingredients except the chocolate chips and spoon by tablespoon on prepared baking trays. Bake as directed and set aside to cool. 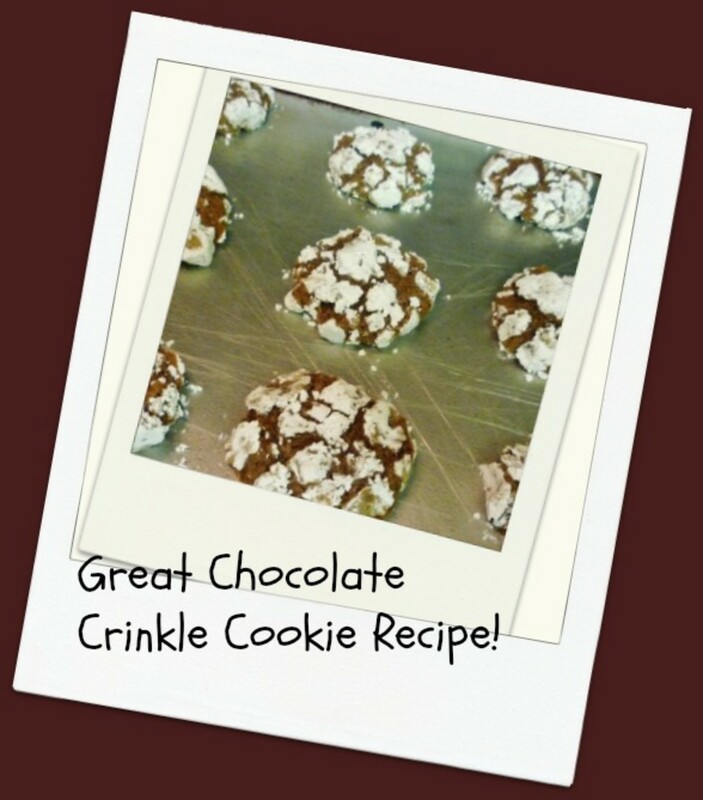 Melt the chocolate chips in a microwave safe bowl and dip the cooled cookies into it. Place on wax paper and cool. 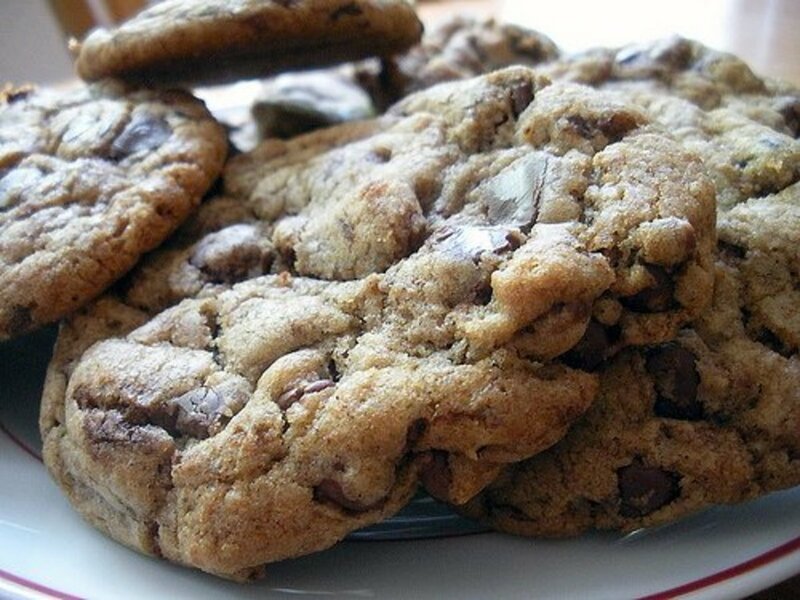 Mix chocolate chips and lemon peel into the cookie dough. Form tablespoons of dough into balls and roll in colored sugar. The dough is a little sticky, but once you start rolling it's easier to handle. Bake as directed. 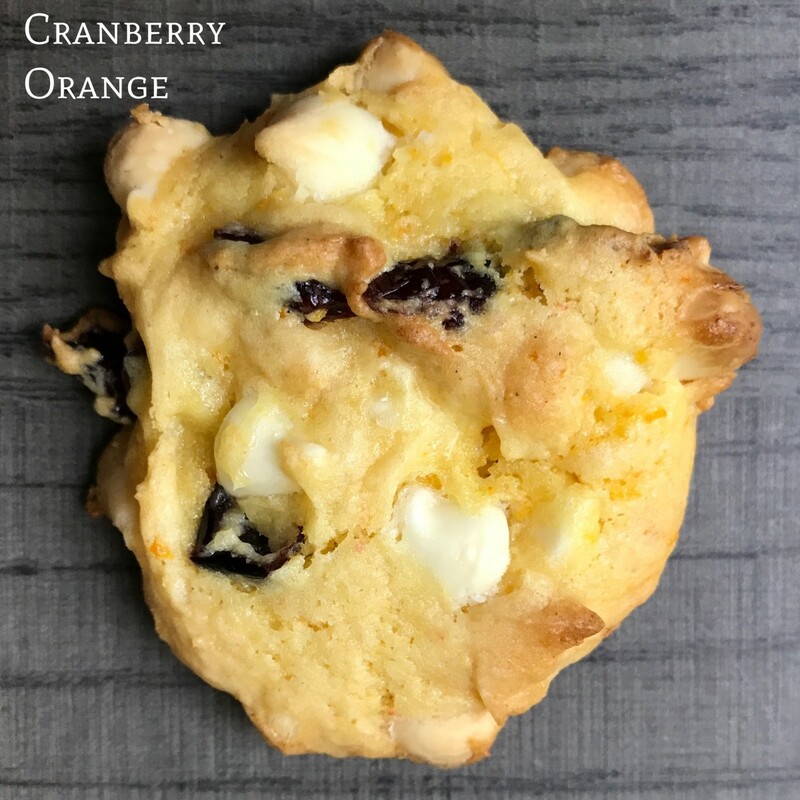 I did a small sampling of these cookies for this article and had family and friends do an informal taste test. Everyone liked them all, but one of the standouts was the S'mores version. For me it was a toss up between the lemon delights and the peppermint delights although the peanut butter cup was a very close third. Honestly they are all delicious. Enjoy! Could I substitute butter or shortening for the oil? I'm not sure you can as I have never tried that. You might be able to if the butter was soft enough. I imagine the cookie dough would be quite thick though. If you try it, let me know if it worked. To make the cookies rise nicely you need the baking powder. You can try them without, but I'm not sure how much they would rise. The s’mores one looks super good!! Thanks for letting me know. I', glad you enjoyed these cookies. 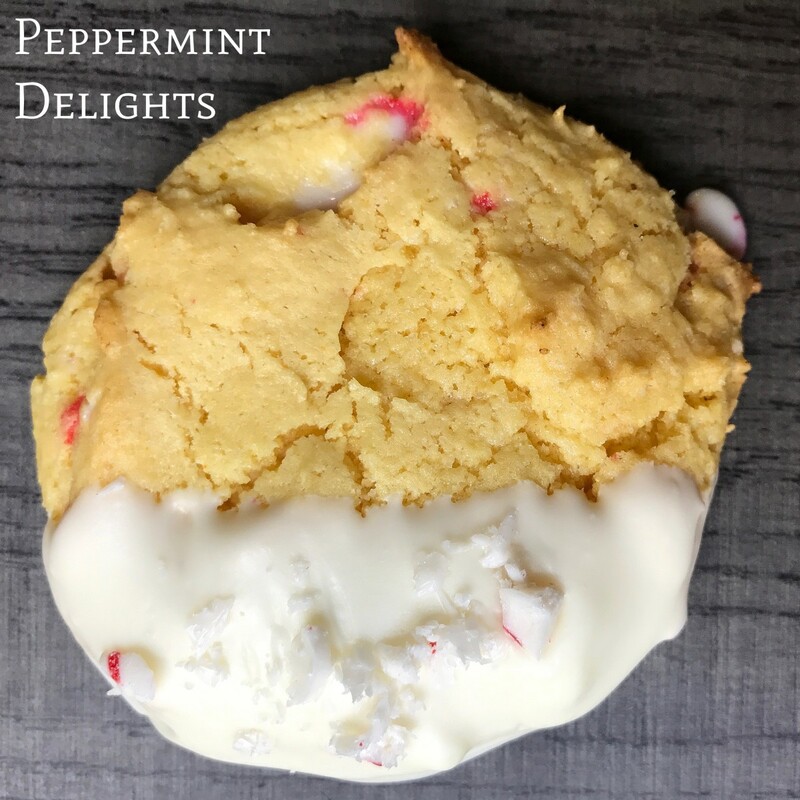 If you like peppermint, that one is really yummy too! The cranberry pretzels and cranberry orange were just outstanding. Can’t wait to try the others! Thank you for tases recipes. That's good to know that the cookies can be made gluten-free. Thanks for reading. Thanks. I'm curious to know how the gluten free mixes work out with these cookies. Enjoy! Oh that's wonderful! Thank you so much and I'm glad you like the cookies and I'm glad they are part of your elective for school! 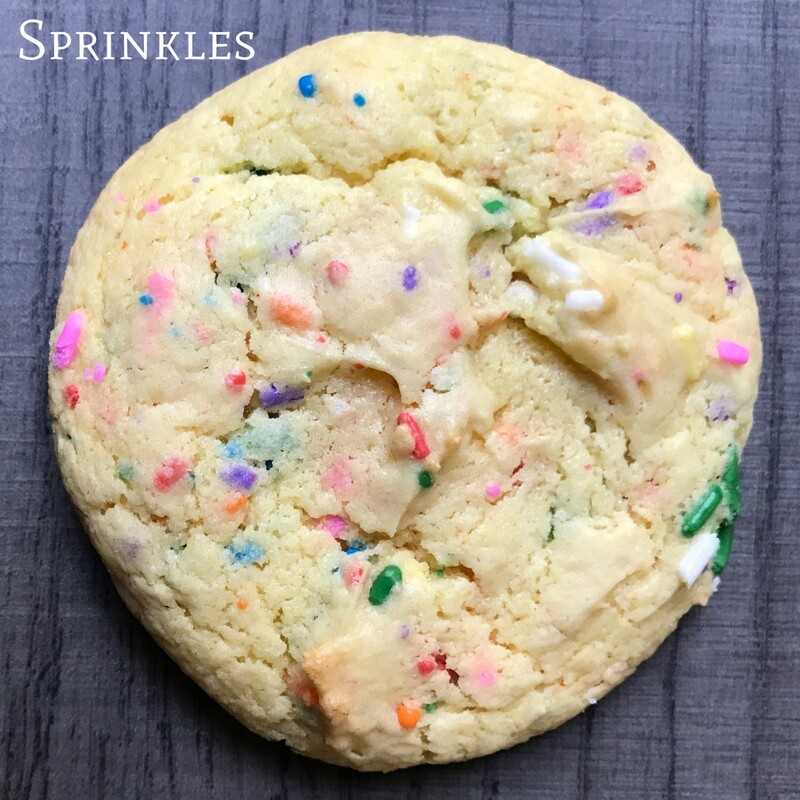 Thanks for commenting and have fun baking more cookies! Hi Ms. Mitchell, the comment listed below as "megan" is actually from my 10yo son. As I type this, he's working on his third batch from this page (powdered sugar this time - we also did sprinkles!) He's decided to make baking his elective for homeschooling lately, and this is his favorite set of recipes. :-) By using the cake mix, he can do it 100% independently, without making TOO much mess or taking TOO much time. And the cookies are yummy! ;-D Thank you! So glad to hear and thanks for letting me know. Those are good cookies. best cookies ever!!! 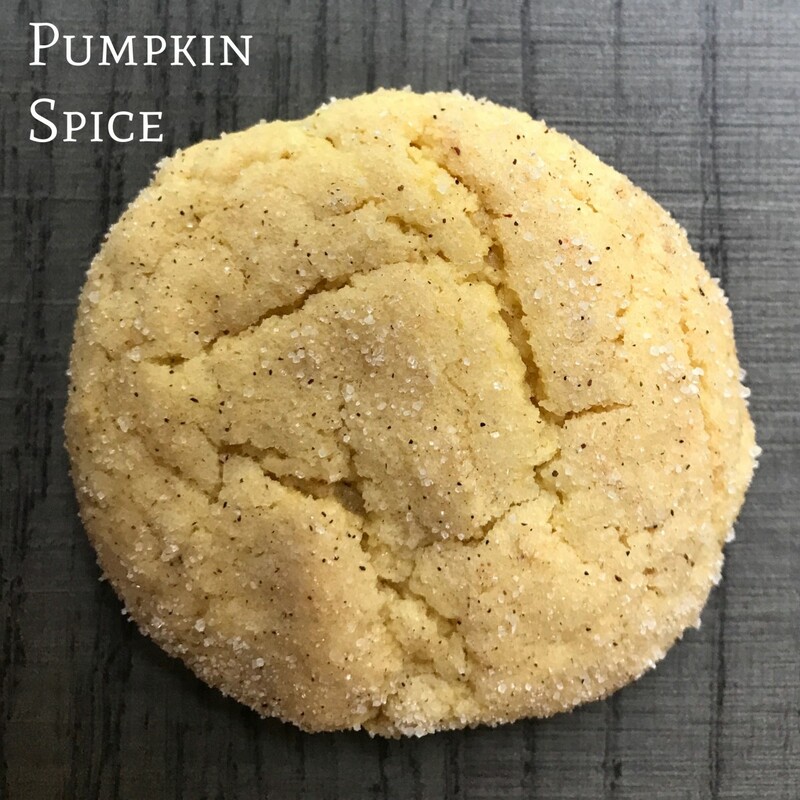 I made the pumpkin spice one.it's Delicious!!!!!! I am all over that toffee cookie recipe. The only thing better than toffee is a new corvette. But you can't eat a corvette so perhaps the toffee cookie is a better option. The rest look pretty delish as well. My tailor thanks you in advance for the future business. I'm going to add a few of these variations to my Christmas baking list. 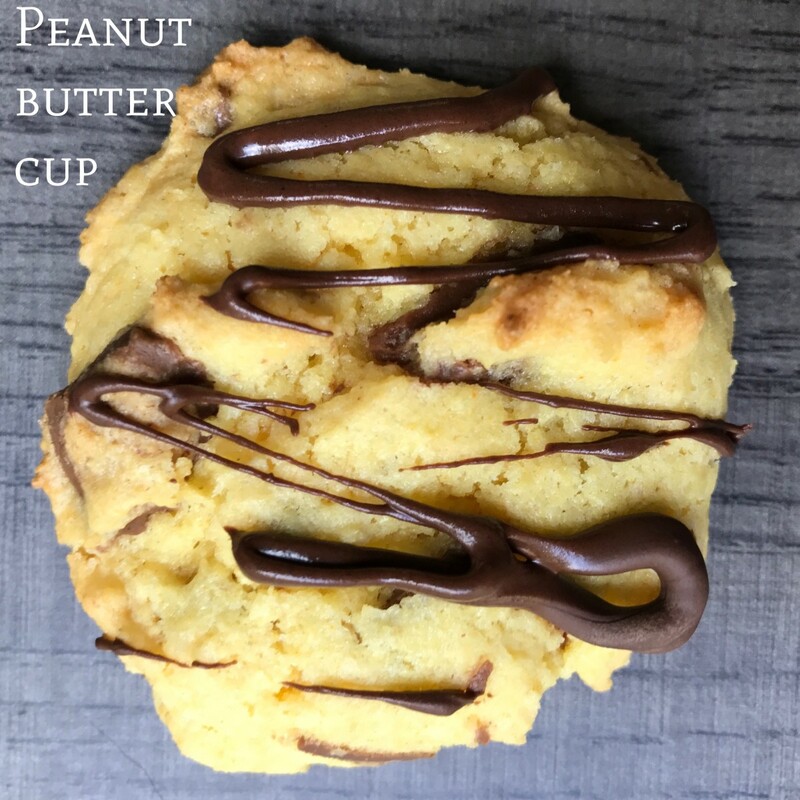 Thank you for sharing these delicious ideas! You have my interest with the caramel pretzel and the chocolate sandwich cookie. Seems too simple but I will give it a try. Thanks for these awesome ideas! Thank you everyone for commenting and letting me know which ones you like. It's fun to see what everyone's preferences are. I hope you all get to try one of these out and enjoy them. I love box cake cookie recipes. 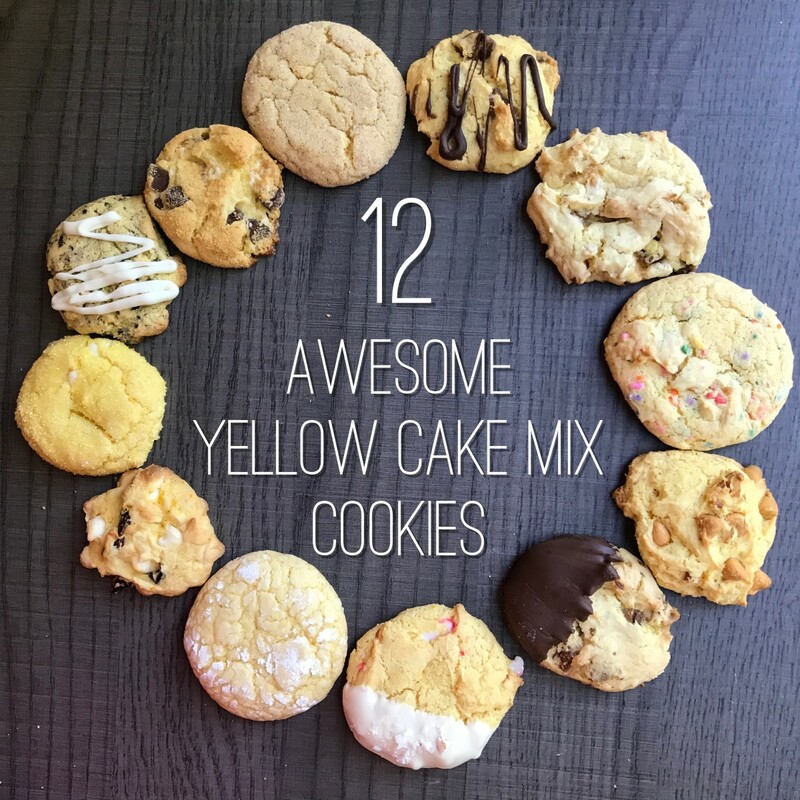 I, too, always have yellow cake mix on hand and like you said you can make yummy cookies so quick with it. I once made nutella ones which was just your basic recipe here and if I remember correct almost an entire jar of nutella. So good. 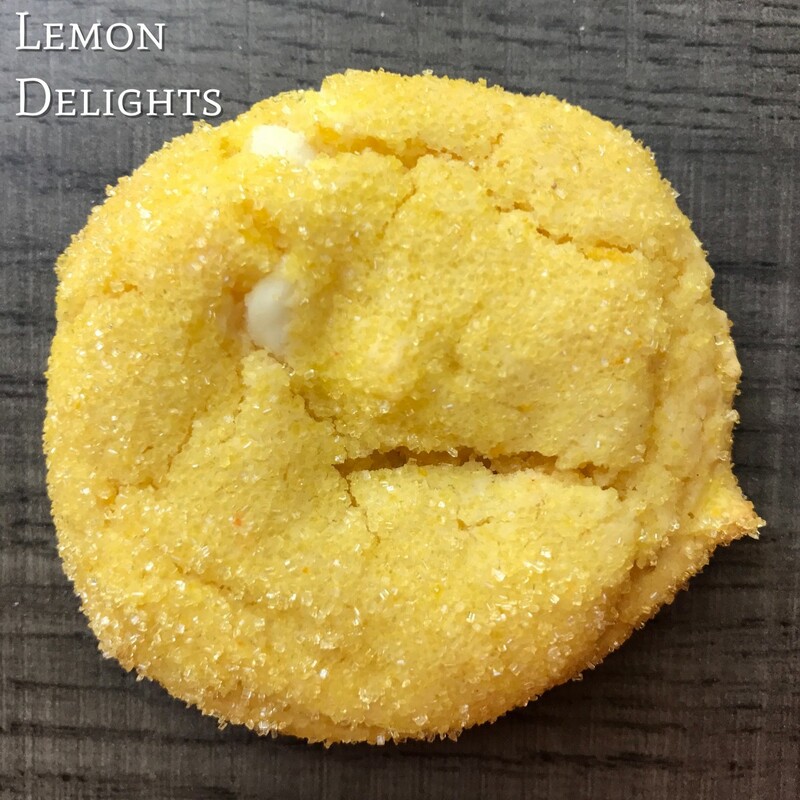 I think I will try your lemon delights, or maybe the s'mores first. Also the toffee and peppermint look great as well. Oh my gosh, these are way too fun! Pinning this and making sure I have it to look back on because my girls would love to try these recipes. I can usually find a box of cake mix at WalMart for like $1! 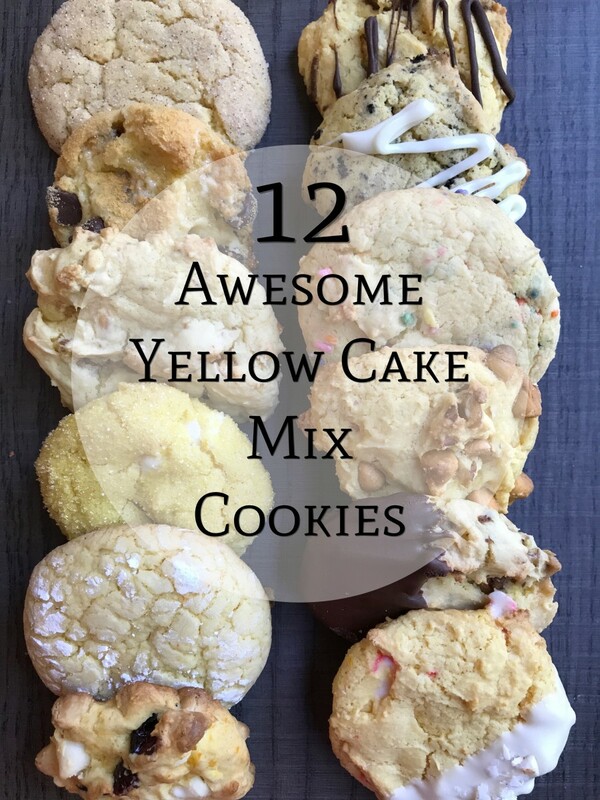 I have never used a boxed cake mix and usually make homemade cookies but it was amazing to see how one yellow boxed cake mix can turn into so many different tasting cookies. The pumpkin spice got my attention! I love the look of all these cookies. 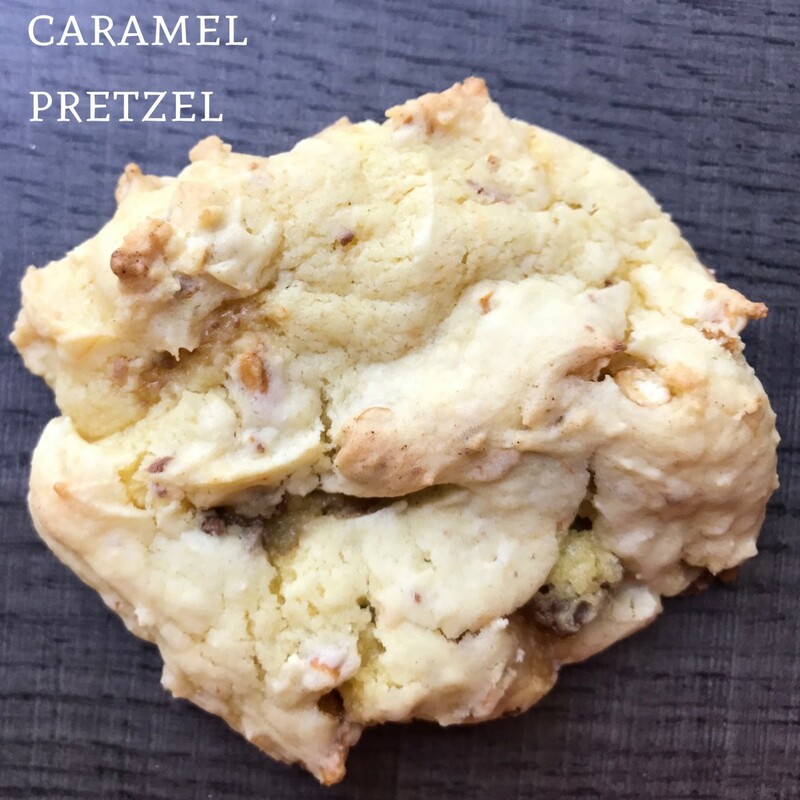 The Caramel Pretzel looks delicious! Oh my goodness, those cookies look amazing. I usually bake from scratch but you have me convinced that if time were an issue this is a good alternative. I often use a bread mix but have never tried cookies.